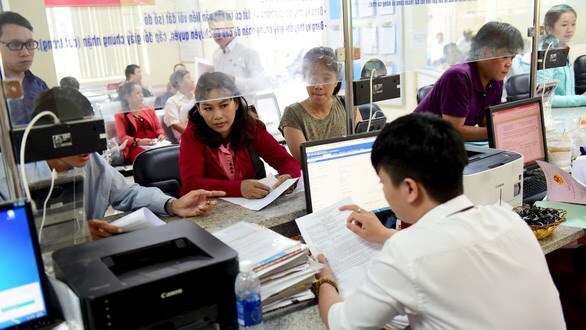 HCM City (VNA) - The pilot survey of satisfaction of local people and organizations for the administrative reform work in Ho Chi Minh City in 2018 was reviewed at a conference held by the municipal chapter of the Vietnam Fatherland Front (VFF) on April 11. The survey was carried out in five units through 1,200 questionnaires collected from the list of people and organisations that completed their administrative processing request in the first quarter of 2018. Questionnaires focused on the access to and use of administrative services, the price and quality of services, and behavior of civil servants when interacting with residents and representatives of organizations. Vice President of the VFF’s municipal chapter Vu Thanh Luu said these are areas that local organisations and people have great demand, especially construction and business license. The results showed that 92 percent of the respondents said they were satisfied with the behavior of civil servants of the municipal Department of Planning and Investment, while the rate for the municipal Department of Constriction, the People’s Committees of District 1, District 12 and Hoc Mon district were 93 percent, 92 percent, 91 percent, and 83 percent, respectively. The rate of those who are not satisfied with the handling of public administrative procedures in the Department of Planning and Investment, the Department of Construction and the People’s Committee of District 1 was between 4-10 percent. Meanwhile, the rate for the People’s Committees of District 12 and Hoc Mon district are 12 percent and 25 percent, respectively. Director of the municipal Department of Construction Tran Trong Tuan underlined the need to pay more attention to doing this better in the coming time. In 2019, the municipal VFF chapter plans to expand the survey to the city’s Departments of Natural Resources and Environment, Justice, Health, Customs and Tax; the People’s Committees of 24 districts and 319 communes, wards and towns. Speaking at the event, Secretary of the municipal Party Committee Nguyen Thien Nhan appreciated the pilot of the survey in this field, saying that it is necessary to expand it in the coming time, towards promoting the efficiency of administrative reform in the city.